As a Design/Build company, we offer our customers solutions to all of their construction needs – from design and engineering to construction and management of the project. Our team of industry professionals works with you to develop and build a structure that best suits your commercial or residential needs. Peace of mind is perhaps the most important benefit when working with a contractor, knowing that your job will be done correctly. We guarantee our work and take pride in the quality of our craftmanship and level of service we provide to customers. Dunipace Buildings is licensed in Ohio and insured. 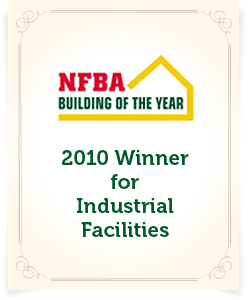 We are members of the Better Business Bureau and National Frame Building Association.